Kitov is in the final stages of acquiring FameWave and their promising oncology agent CM-24. This acquisition now makes a Kitov an oncology-focused company. Prior to acquisition news, FameWave publicized a collaboration with Bristol-Myers Squibb that will combine CM-24 with Opdivo in NSCLC. Kitov was able to fund the FameWave acquisition with investments from some notable bioscience firms which eliminated the need for debt. I take a look at FameWave’s CM-24 and the role CEACAM1 has in persistence and proliferation of cancer. So far, 2019 has been a transformative year for Kitov Pharmaceuticals (KTOV) and its shareholders. The company has inked its U.S. commercialization partnership with Coeptis Pharmaceuticals for its lead product Consensi, which the company expects to launch at some point this year. Now, the company focused its efforts on transmuting into an oncology intensive company by progressing its TyrNovo oncology candidate NT-219. Kitov planned to submit an IND for NT-219 early this year, but it appears the management has been hard at work negotiating the acquisition of FameWave and securing the funding from bioscience firms. The deal was sweetened with the announcement of a collaboration with the juggernaut pharmaceutical company Bristol-Myers Squibb (BMY). I aim to take a look at the recent company dealings and provide my take on the FameWave acquisition. In addition, I provide some research on CM-24 and the CEACAM1 checkpoint. Furthermore, I do some elementary analysis on the charts to see if the FameWave announcement was a boom or a bust for the shareholders. 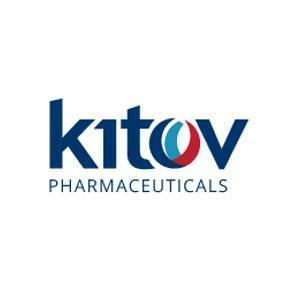 Kitov Pharmaceuticals was a pharmaceutical company located in Israel; is now an immune-oncology company located in Israel. The company is concentrated on generating a diverse pipeline of novel drugs with the intention of decreasing the risk and cost of drug development. Kitov's lead product, Consensi, is an FDA-approved medication for the management of osteoarthritis and hypertension. In addition, the company is developing a unique molecule called NT-219, which can be combined with oncology drugs to inhibit, reverse, and delay tumor resistance to modern therapies. Back on March 14th, Kitov Pharma publicized it had contracted an arrangement to acquire FameWave Ltd. for a share exchange transaction. FameWave shareholders will receive $10M worth of newly issued KTOV ADSs (U.S. Listing) at $1.23 per share. Kitov was able to receive $3.5M in investments from notable funds such as Orbimed, Pontifax, and Arkin Holdings. Each of these funds is expected own about 10% of KTOV priced at $1.23 a share. The company has also stated that they are "currently in discussions with a number of leading healthcare-focused institutional investors, which have expressed interest in investing in Kitov following completion of the acquisition." According to the press release, FameWave is developing CM-24, a monoclonal antibody that focuses on the immune checkpoint CEACAM1. In a Phase I dose-ranging study, CM-24 did not display any efficacy signals and the judgment was to suspend development. Kitov hired external advisors to review the data and their valuation was that CM-24 was considered "generally safe", which now allows Kitov to attempt higher doses with the intention of reaching a "receptor saturation" point. In the press release, the company stated that it had already expected to close a deal with big pharma and to start a Phase I/II study in the first part of 2020 to gauge the safety and efficacy of CM-24 in combination with a PD-L1 inhibitor. "Combining this transaction with our proprietary NT219 program, Kitov will become a clinical stage oncology company backed by the support of leading global life science funds. With the NT219 and CM-24 oncology candidates, we are opening an exciting future for Kitov and I'm looking forward to building on this momentum. We are very pleased that the investment and support of three leading global life science funds will enable Kitov to advance our clinical programs and expand our institutional investor base. The acquisition of CM-24 is a tremendous opportunity for Kitov and our shareholders. We believe CM-24 has the potential to treat recurrent and advanced stage cancers including ovarian, colorectal, melanoma, lung, bladder and gastric cancers, and that our Phase I/II trial design could result in a strong display of the drug's efficacy to the benefit of patients and their families. The journey Kitov started with Consensi™'s FDA approval and our recently announced distribution partnership for Consensi™ in the US, when combined with our plans to submit an IND for NT-219 in 2019 and the acquisition of CM-24, transforms Kitov into a robust immune-oncology development company." The FameWave acquisition is another transformational move for Kitov for a few reasons. First, the company is acquiring a novel checkpoint agent that has the potential to treat advanced-stage cancer in a variety of oncology indications. Second, Kitov officially has another product candidate in the clinic while we wait for NT-219's IND. Third, Kitov is now officially an oncology company. Although Consensi is currently the company's flagship product, the addition of CM-24 to the portfolio tips the scale towards the oncology arena. An overlooked fact is that the company was able to bring in notable life science firms/funds with the acquisition of FameWave. This should be seen as a major development for Kitov because "smart money" wanted to invest millions of dollars at $1.23 per share. With each one of these firms owning 10% of Kitov, we can infer that they see a huge value in CM-24 and were willing to buy shares and not just loan some money. Now, their investment is determined on the performance of the stock, which should tell you that they expect KTOV to perform quite well in the future. Furthermore, with a large percentage of shares being acquired at $1.23, we can use that as a potential buy area. On April 12th, FameWave announced the signing of a clinical collaboration with Bristol-Myers Squibb to evaluate the combination of CM-24 and Opdivo with NSCLC. FameWave and Bristol-Myers Squibb will collaborate on the trial design in a distinct NSCLC population. FameWave will fund and sponsor the study, while Bristol Myers Squibb will be responsible for the supply of Opdivo. On the same day, Kitov announced their "key milestone" acquisition of FameWave Ltd., as a result of the clinical collaboration arrangement concerning FameWave and Bristol Myers Squibb. The Kitov acquisition of FameWave is pending on other closing circumstances, which includes KTOV shareholder approval. "We look forward to completing the acquisition of FameWave and advancing CM-24 studies in the clinic, our goal is to assess the innovative combination of CM-24 with Opdivo In NSCLC patients. Since we believe CM-24 has great potential as a novel checkpoint inhibitor to be used in combination therapies to provide new options to address the significant unmet medical need in hard-to-treat cancers." It was only a month prior that Kitov had been unofficially rebranded as an oncology company. Now, Kitov is partnering with Bristol-Myers Squibb; one of the top oncology companies in the world. In addition, FameWave's CM-24 is going to be in the clinic with one of the top oncology agents in the world, Opdivo. Into the bargain, the clinical partnership is going after a form of lung cancer, which is the deadliest cancer that is estimated to kill 154,050 Americans in 2018… that is about 25% of all cancer deaths in the United States. To recap, Kitov is acquiring a company that just partnered with one of the biggest pharmaceutical companies; using their flagship product; in one of the most deadly forms of cancer. That is not a bad way to enter the oncology arena. 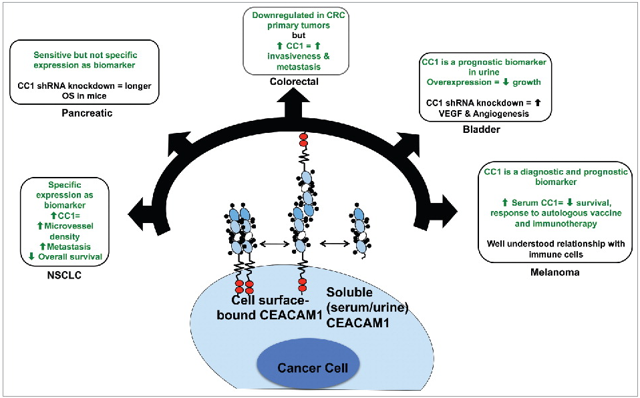 CEACAM1's function in cancer cells has been studied extensively in several cancer types. In NSCLC, CEACAM1's expression is associated with amplified micro-vessel density, metastasis, and reduced overall survival for the patient. In pancreatic cancer, a reduction of CEACAM1 in a PDX model led to an extended overall survival compared to the wild-type. As for colorectal cancer, CEACAM1 expression downregulated in early stages but is elevated in advanced stages of colorectal cancer and interrelated with amplified metastasis. CEACAM1 in bladder cancer is often overexpressed in the blood vessels near the tumor, which upshots proliferation and angiogenesis of tumors. In melanoma, CEACAM1 manifestation is connected with diminished survival, plus, decreased reactions to autologous vaccine and immunotherapy. 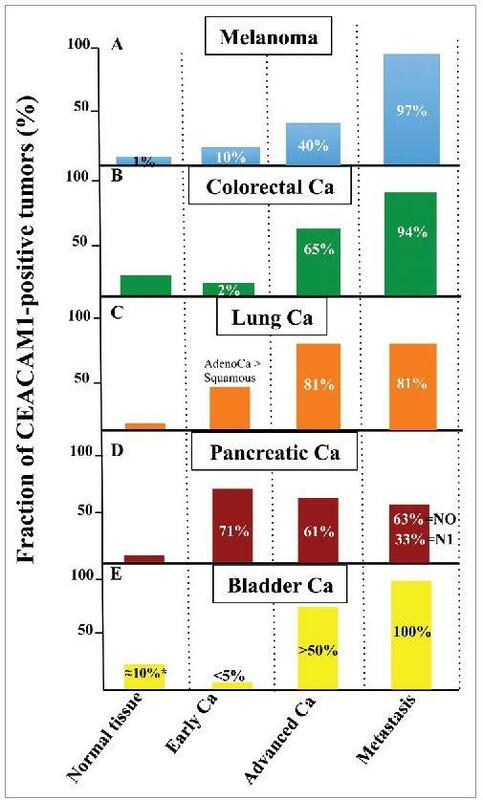 Looking at figure 1, we can see how CEACAM1 has a role in all these different types of aggressive cancers. CEACAM1 has a vital role in activated T-cells due to it being a similar checkpoint to CTLA4 and PD-1. Research shows that CEACAM1 expression is lacking in resting T-cells and is abundant on activated T-cells. However, other research shows CEACAM1 performs as an inhibitory receptor that is downregulating T-cell activation and quashing T-cell tasks. This conflicting evidence is believed to be caused by CEACAM1 subtypes. CEACAM1-L acts as an inhibitory receptor on T-cells, whereas CEACAM1-S promotes T-cell activation. I find it interesting that CEACAM1 plays a role in either activating or suppressing T-cells. Perhaps further studies can reveal how immunotherapy agents can promote or inhibit the CEACAM1 subtypes to promote a robust T-cell response to cancer cells. Other research has shown that CEACAM1 has an impact on the performance of our natural killer "NK" cells that are critical to our innate immunity and fighting cancer. The absence of inhibitory receptor signaling permits NK cells to identify and destroy unhealthy cells with a cytotoxic role. CEACAM1 expression forcefully stimulates evasion of NK-mediated destruction of tumor cells. 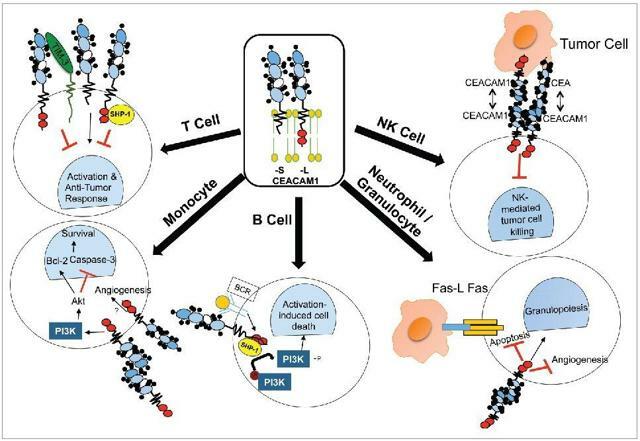 Therefore, CEACAM1 binding to NK cells might play a significant part in NK-mediated killing of tumor cells. I found this extremely intriguing considering my recent article on NantKwest (NK) and how Dr. Patrick Soon-Shiong is using NK cells to target cancer. Although CEACAM1 is estimated to perform as an inhibitory molecule in granulocytes, its part is complex due to evidence that it can be an apoptotic inhibitor. In tumors, neutrophils can promote advancement by engaging aspects that encourage incursion, angiogenesis, and metastasis. Once the neutrophils are activated, CEACAM1 is rapidly moved to the tumor cell surface. The points above lead me to believe that CEACAM1 not only has a part in inhibiting apoptosis but might promote metastasis; which means growth and spreading of cancer. Why is CEACAM1 so important? Looking at figure 3, we can see that CEACAM1 expression increases as a patient's cancer progresses. Make note that the percentage for lung cancer. Based on all the information above, it looks as if CEACAM1 plays a pivotal role in some cancers and could be a target for oncology agents. My takeaway is that CEACAM1 expression can be helpful in some cases and troublesome in others. However, it appears as if overexpression CEACAM1 is found advanced and metastatic cancers, which could make CM-24 a potential tool for physicians treating these patients. CM-24 is a "humanized monoclonal antibody" that will engage with CEACAM1, an immune checkpoint protein. Research has demonstrated that CEACAM1 is expressed on tumor-infiltrating lymphocytes and is upregulated in numerous cancer forms. Pre-clinical trials have revealed data that CM-24 increases the cytotoxic activity of tumor-infiltrating lymphocytes "TILs" in several CEACAM1-positive tumors. This will allow CM-24 to be developed numerous oncological indications depending on the expression of CEACAMI in that cancer. CM-24's mechanism of action is to activate the immune system through several pathways that could lead to a variety of different combination therapies. I am interested to see if the company can find a way to work with some cell therapies, due to CEACAM1's involvement in T-Cell and NK cell activity around tumors. The idea that CEACAM1 is able to inhibit NK cells makes me believe that CM-24 might have applications beyond oncology. As for the current collaboration; supplementary pre-clinical studies exhibited that the combination of CM-24 with a PD-1 antibody created a "synergistic anti-cancer effect." Perhaps CM-24 is able to thwart the advanced or metastatic cancer progress to give Opdivo the chance to trigger cell death? The answer is beyond me, but I certainly hope that this combination is effective for multiple indications. Kitov investors have a couple more important events to look forward in 2019 and 2020. I find the most critical to be the launch of Consensi in the United States, which would start providing a source of revenue instead of relying on public offerings to keep the company running. Other Consensi derived catalysts will be the expansion of the global commercialization network for Consensi to additional territories. In addition, an update on the regulatory approval progression for Consensi in China and South Korea, by Kitov's partners. Another important milestone would be NT-219's IND. This was expected to be finalized at the end of 2018 but is now being punted to 2019. The company released some additional data back in January but no news since then. Are the GLP toxicology studies done? Is the manufacturing of GMP NT-219 drug product for clinical trials complete? We are getting crickets from the company on their promising oncology agent. What could be the hold-up? NT-219 is expected to be a combination agent, so perhaps, the wait is due to finding a partner or finalizing the arrangement. 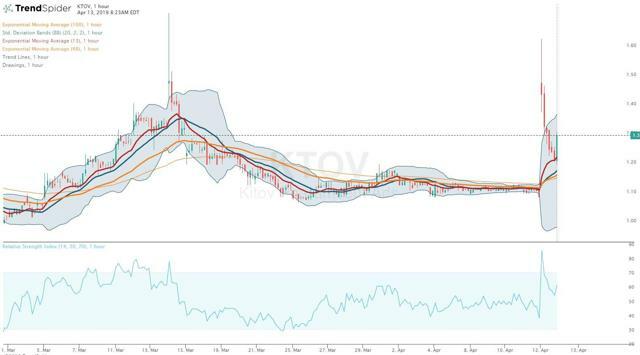 KTOV has been asleep for since the end of January and has been stuck in a tight trading range of $1.10 to $1.30. Looking at the daily chart (Figure 4), we can see the share price has been flatlining throughout the spring with only a couple of spikes from company updates. Although this can be frustrating, I believe this is a positive indication the share price is looking to make a big move… hopefully up. You see the Bollinger bands (shaded area) has been constricting, and the FameWave news has busted the share price above the top band. Typically, there is a subsequent sell-off once the share price goes outside the bands, but it can lead to a continuation in the coming days as the stock creates a new trend. Looking at the hourly chart (Figure 5), it looks as if the share price experienced a strong sell-off but was able to hold above $1.20 with a big engulfing green candle to close-out the week. That tells me traders and investors are considering the exchange and firm shares priced at $1.23 to be a good place to buy/cover. Hopefully, we find that area to become a new support level and can be relied upon as a "loading zone." Overall, the charts are quite boring, but the latest news might have ignited a pressurized powder keg that was looking for a direction. I expect we will know if this was a transient event or start of a long-term reversal in the coming days. Kitov is now an oncology company that has two potential blockbuster oncology agents that could be combined with a broad spectrum of billion-dollar drugs. I have always been impressed with the prospects of NT-219 to be combined with multiple oncology drugs. Now, my research on CEACAM1 revealed the potential for CM-24 to be implemented in multiple oncology indications. Although these two agents are designed to target specific pathways, they read as if they have broad applications in oncology. NT-219 has preclinical data that demonstrates efficacy in preventing tumor resistance to billion-dollar drugs. On the other hand, CM-24 could be effective against the proliferation and metastasis of multiple deadly cancers types. Of course, this is not a risk-free investment. I have always stated that Kitov is a very speculative investment, and investors need to be methodical with buys. Although the FameWave deal was paid in shares, the company is going to need cash to fund NT-219 and CM-24 through a long regulatory pathway. So, investors need to accept the strong likelihood that Kitov will have to perform multiple secondary offerings over the next few years. 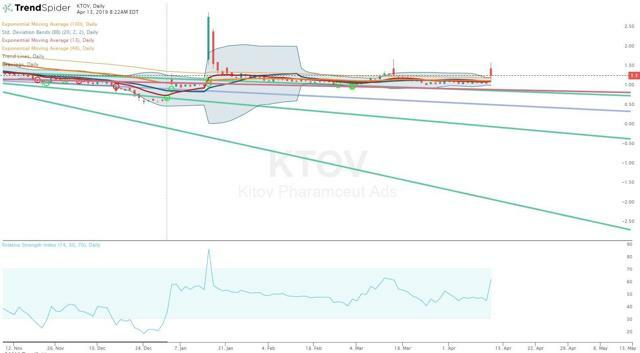 Do I think KTOV is still a buy? The current market cap of ~$22M and unique oncology pipeline provide me assurance that the market still has KTOV at a discounted price. I couldn't find a publicly-traded company that is partnered with Opdivo that has a smaller market cap. The closest one I could find was Oncolytics Biotech (OTC:ONCY), which is testing their pelareorep product with Opdivo in multiple myeloma. Oncolytics has a market cap around $37M, so it's valued about 20% more than KTOV. Plus, Oncolytics is not a commercial stage company and only has one product candidate. Once Consensi is launched, Kitov will be a commercial stage company and will start to see revenues cover some of the operating expenses and forecast a breakeven point for the company. So, yes, I think KTOV is still a buy at $22M market valuation. Minus the delay NT-219 IND and unknown launch time for Consensi, I am a happy KTOV shareholder. Regardless of the long road ahead, I have no problem being "early" with Kitov. Once Kitov announces the launch of Consensi in the U.S., I will start to add to my position around the $1.23 area until I reach my full position for 2019. Disclosure: I am/we are long KTOV. I wrote this article myself, and it expresses my own opinions. I am not receiving compensation for it (other than from Seeking Alpha). I have no business relationship with any company whose stock is mentioned in this article.